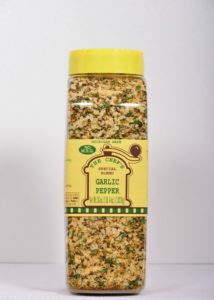 Our quality products and unique blend of pepper, salt, garlic and herbs create one of the best garlic peppers made. 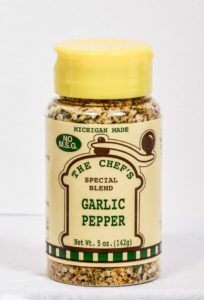 Great on steaks, fish, potatoes and many other dishes. 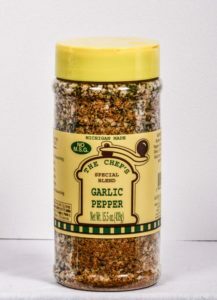 Enjoyed and appreciated by any garlic pepper lover. 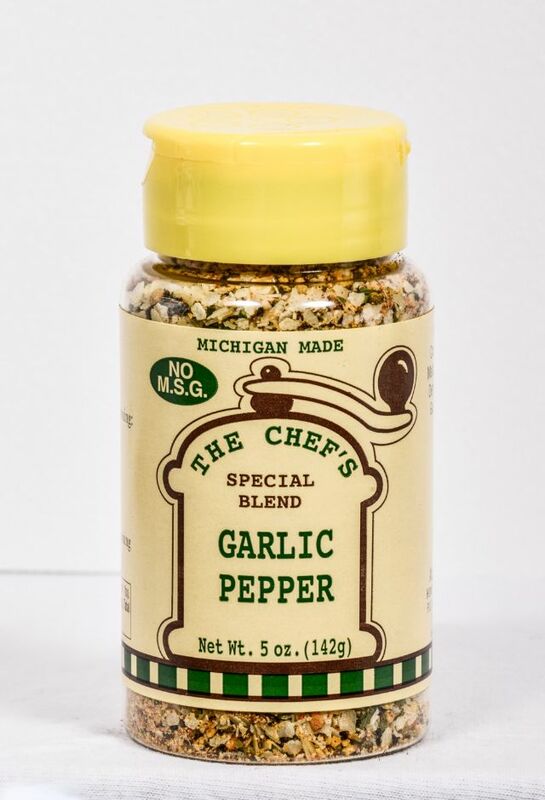 Kosher Salt, Black Pepper, Garlic, Parsley, Onion, Turmeric, Citric Acid, and other Herbs and Spices.